Wax Poisoning is the accidental or intentional intake (consumption) of wax products. Waxes are found in candles, crayons, sealing agents, wood coatings, polishing agents, cosmetics, and have applications in the sports industry, food industry, etc. Wax Poisoning may be also referred to as Crayons Poisoning and Wax Toxicity. What are the Causes of Wax Poisoning? What are the Signs and Symptoms of Wax Poisoning? Note: Consuming small amounts of wax is usually not considered to be very harmful; for, it is generally excreted through one’s stool. How is First Aid administered for Wax Poisoning? Generally, Wax Poisoning is a non-serious condition. With appropriate and adequate home care, the individual may recover completely, without any severe symptoms being noted. Who should administer First Aid for Wax Poisoning? First aid for Wax Poisoning is administered by healthcare professionals. What is the Prognosis of Wax Poisoning? How can Wax Poisoning be Prevented? Saib, A. M., Moodley, D. J., Ciobîcă, I. M., Hauman, M. M., Sigwebela, B. H., Weststrate, C. J., ... & Van de Loosdrecht, J. (2010). Fundamental understanding of deactivation and regeneration of cobalt Fischer–Tropsch synthesis catalysts. Catalysis Today, 154(3), 271-282. Zelner, I., Matlow, J., Hutson, J. R., Wax, P., Koren, G., Brent, J., ... & Toxicology Investigators Consortium. (2015). Acute poisoning during pregnancy: observations from the Toxicology Investigators Consortium. Journal of medical toxicology, 11(3), 301. Finkelstein, Y., Hutson, J. R., Wax, P. M., & Brent, J. (2012). Toxico-surveillance of infant and toddler poisonings in the United States. Journal of medical toxicology, 1-4. Schwarz, E. S., Wax, P. M., Kleinschmidt, K. C., Sharma, K., Chung, W. M., Cantu, G., ... & Todd, E. (2014). 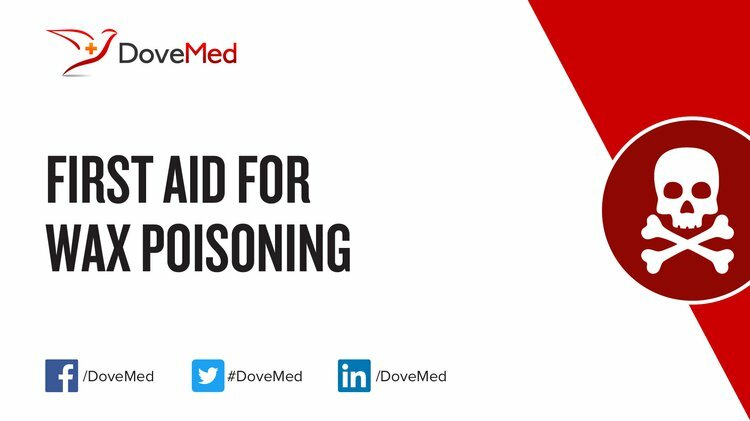 Multiple poisonings with sodium azide at a local restaurant. The Journal of emergency medicine, 46(4), 491-494. Schwarz, E. S., Kopec, K. T., Wiegand, T. J., Wax, P. M., & Brent, J. (2017). Should we be using the Poisoning Severity Score?. Journal of medical toxicology, 13(2), 135-145. Farmer, M. E., & Baran, P. S. (2015). Organic chemistry: A cure for catalyst poisoning. Nature, 524(7564), 164-165. Sparks, D. E., Jacobs, G., Gnanamani, M. K., Pendyala, V. R. R., Ma, W., Kang, J., ... & Davis, B. H. (2013). Poisoning of cobalt catalyst used for Fischer–Tropsch synthesis. Catalysis today, 215, 67-72. Brood, F., Fencing, A., Hees, A., Brood, B. H., Moth, W., Activitv, B., & Hive, H. V. S. Index, THE BEE WORLD, Vol. 23, January, December, 1942. Flora, 7(28), 31-94.